The Maybe Your Lens is Scratched? 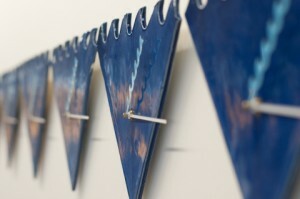 group exhibition is on at London’s Slate Projects, opening June 24 and running to July 24. Artists included are mostly London-based such as Matt Ager, Lauren Keeley, May Hands, Lawrence Lek, Becky Beasley, We Are Visual design group, and many more. 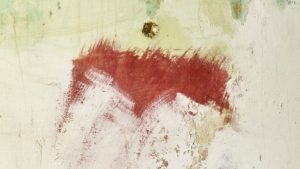 There is no information to accompany the show which is curated by Bianca Baroni and Alex Meurice, although it seems the artists selected to exhibit work with the potential of materiality found in imagery and display. Slate Projects is itinerant and for Maybe Your Lens is Scratched? will be based in Averard Hotel, an empty nineteenth-century mansion house in West London turned into hotel and currently awaiting renovation. 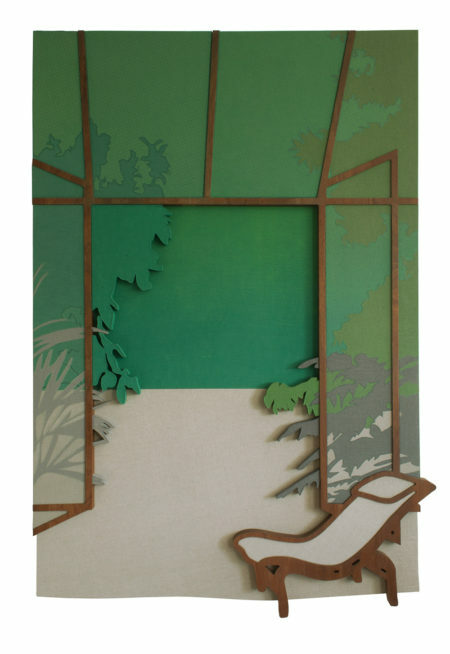 Lauren Keeley, ‘Garden’ (2015). Courtesy the artist and Supplement, London. “Maybe, the music lost the war,” posits Ji-Hun Kim at the final panel titled ‘Global and Local Music Scenes’ of 3hd Festival, running across venues in Berlin from December 2 to 5. Given the overall theme of the rather meticulously curated event programme –‘The Labour of Sound in a World of Debt’ –it’s possible to see how that might have happened. In a climate of big brand sponsorship and accelerated media uncovering, exposing and mining the so-called ‘underground’ in the flattened space of the internet, the outlook of what could have been counterculture appears rather bleak. But then, when it comes to a project like 3hd –where its Creamcake organisers Anja Weigl and Daniela Seitz manage an international cast of musicians, producers, desginers, writers, brought to the German city on a tiny budget –it seems there is still hope. Here, it’s the sense of community, however dispersed along the global online, that really is palpable. Attendance, for one, is healthy. Crowds vary nicely in demographic depending on the night and engagement with the discussion series –moderated by Adam Harper and including topics like ‘What is the Musical Object in the 21st Century?’ and ‘Visual Pleasure, the Impact of Image Making’ –is lively. The latter takes place in Kreuzberg’s Vierte Welt, surrounded by the art of 3hd’s The Labour of Sound in a World of Debt exhibition. It includes sculpture by Ella CB and Per Mertens, the heavily branded graphic design of Simon Whybray’s JACK댄스 night posters and Kim Laughton’s ‘TIDAL (tone-on-tone)’ video featuring a billboard screen ad for the title music streaming site in what looks like an industrial wasteland. Aurora Sander @ HAU. Courtesy 3hd Festival, Berlin. Vierte Welt is also the setting for 3hd’s official opening, where the multiple wall-mounted LED screenings of Emilie Gervais’ ‘Brandon aka Kamisha’ CGI animation and Lawrence Lek’s ‘Unreal Estate (The Royal Academy is Yours)’ projection is shown up by Easter’s short but striking live performance. With it they unveil their ‘True Cup’ video, a film that’s part of a sort of distributed art project featuring the artists, Max Boss and Stine Omar, staring at their flip phones and moving, model-like, around Galerie koal where they also have an exhibition. The show features a serialised video piece, Sadness is an Evil Gas Inside of Me, running at the same time as 3hd and featuring a cast of global creatives, including voice over by Vaginal Davis and cameos by actor Lars Eidinger and Britta Thie. The latter Berlin-based artist similarly has an episodic video work, drawing on Leigh Bowery and showcasing an international art scene in her Transatlantics web series. It’s for that she’s been invited to join the ‘Branding–Hype–Trends’ discussion of 3hd, with its focus getting lost in the panelists’ understandable inability to identify and deconstruct the complicated, inextricable inter-relationship between creativity and capital. That collusion, or obsession even, is unsettlingly present at the HAU Hebbel am Ufer night of performances the following day. 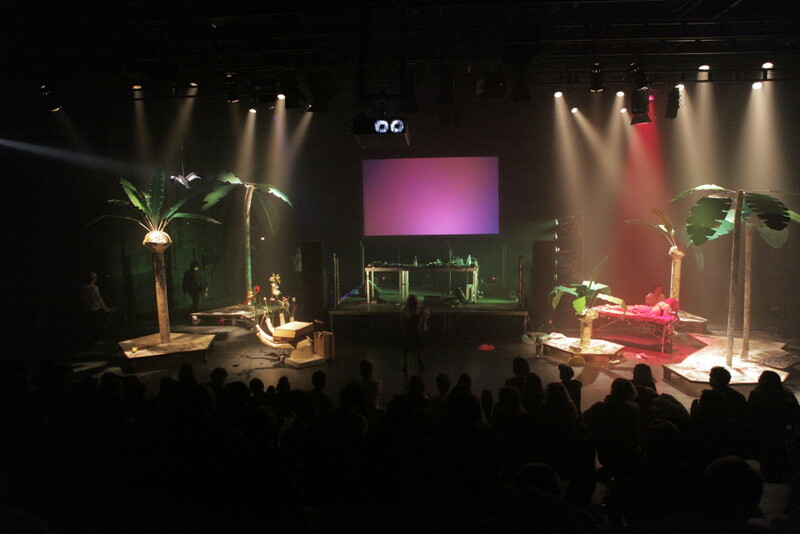 The plastic palm trees and cartoonish props of the exotic Contiki-esque Aurora Sander-designed ‘Love Jungle’ sets the scene for Dafna Maimon and Adrian Hartono’s performing the high-life in a massage for ‘Dear Unkown One’. Conceptions of luxury, money, power, feature heavily tonight. Classically-trained cellist Oliver Coates performs the disturbing soundtrack to a live rendition of Lawrence Lek’s ‘Unreal Estate’. 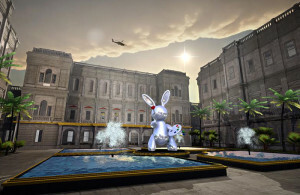 The 3D animation travels through the empty rooms of an imagined London Royal Academy of Art, now up for private sale. Lek’s bilingual voiceover reads English and Mandarin translations of instructions on running a wealthy household from Russian Tatler magazine: “Learn how to do everything yourself. That’s how to stop the servants blackmailing you”. 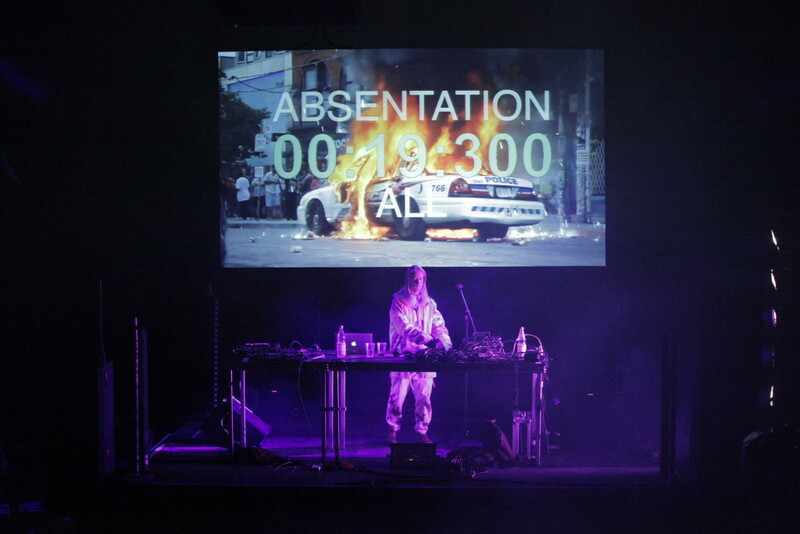 Colin Self’s multimedia performance of his sequential opera ‘The Elation Series’ is a festival highlight, while Aaron David Ross (ADR)’s ‘Deceptionista’ presents an assault of noise and real-time Vine videos shattered into violent shards of visual information fed through the Tabor Robak-developed VPeeker software. Colin Self @ HAU. Courtesy 3hd Festival, Berlin. 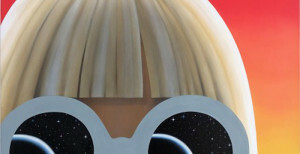 Repeatedly, a blurring of boundaries between what you might consider ‘pop’ versus ‘underground’ circulates throughout the four-day event. Malibu opens a queer, vocoder-heavy sung performance at OHM with Justin Bieber’s ‘What Do You Mean?’. A video presentation by Nicole Killian opens the ‘The Media, Fan and Celebrity Culture’ panel live via Skype from her home in Virginia. The Richmond-based artist talks Tumblr aesthetics and self-started teen girl culture as not only a subversion but a kind of hack into the power of celebrity by not just ‘killing’ their idols but by ‘eating’ them too. Creamcake’s 3hd Festival was on across venues in Berlin, running December 2 to 5, 2015. Header image: Nile Koetting @ HAU. Courtesy 3hd Festival, Berlin. Online exhibition space Channel Normal invites another artist to exhibit digitally, this time bringing in UK artist Joey Holder for a solo exhibition titled Proteus, launching on July 10. 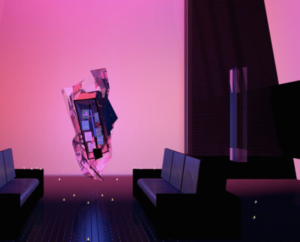 Holder, who was a recent finalist for the Converse/Dazed Emerging Artist Award, follows in the footsteps of a series of solo digital exhibitions launched by Channel Normal, including recent ones with Viktor Timofeev, Sterling Crispin, and Lawrence Lek. With Proteus, Holder is exploring environmental “metagenomics”, or the study of genetic material recovered directly from environmental samples, as well as, according to the exhibition’s press release, “microbiome analysis, ecological remediation, self-monitoring, self-sensing, sense tracking, DNA molecular replacement for silicon microchips”. London-based artist Lawrence Lek is giving a special performance titled Unreal Estate at the Senate Room of the Royal Academy of Arts on April 24. 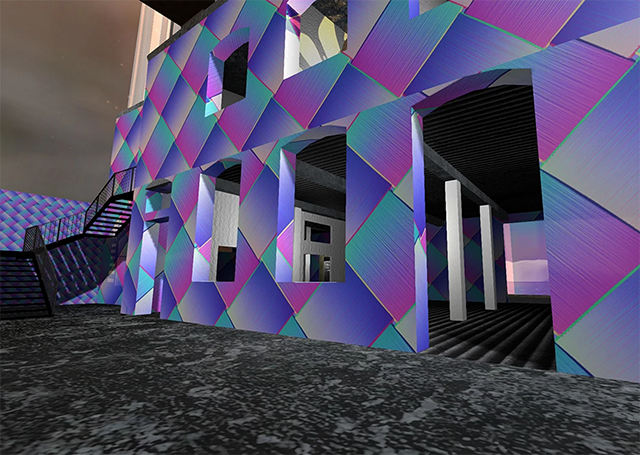 Commissioned for the Dazed Emerging Artist Award, the performance uses video game software to create a future world in which the Royal Academy of Arts now stands as a privately owned luxury estate. Helicopters loom above the penthouse helipad, Anish Kapoor sculptures hover around a luxuriously lit swimming pool, and Corinthian columns stand testament to the deliberate neo-classical opulence of the place. Lek’s version of a dystopian capitalism is set against the backdrop of London’s current housing crisis, blending hardware, software, installation and performance into a full-body interactive environment. The striking installation is accompanied by music from cellist Oliver Coates and a voiceover of a found text from Russian Tatler magazine, translated into Mandarin by curator and translator Joni Zhu. Jing Jin City is empty. It’s a large-scale luxury development that stopped, left to weather and dissolve along with its brochure promises of an “ideal life” in the “super garden with the area of thousand square metres” [sic]. That’s a rough translation from Chinese of the equally obscene opulence of this gated community trapped, along with its employees, in a limbo of incompletion. That’s where artist Andi Schmied and collaborator Lawrence Lek came across Jing Jin City in January last year, a development an hour outside of Beijing that boasts a five-star hotel, 3,000 villas and hardly any occupants. Andi Schmied, Jing Jin City (2015). Courtesy the artist. 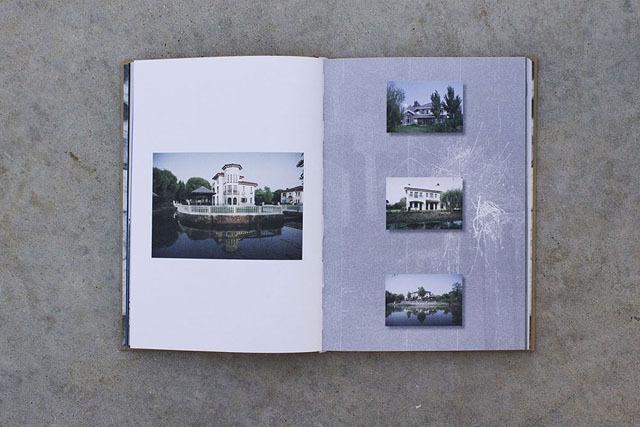 The outcome of this shared visit in summer was a return by Schmied eight months later in the winter and the Jing Jin City book to follow –with its collection of haunting photos of unfinished mansions, collapsed advertising billboards, bricks and stone sculptures –published in January 2015. 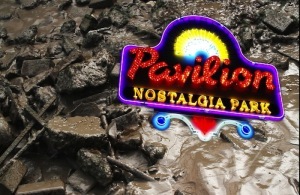 It’s a part of an ongoing project relating to the fated venture that still stands zombie-like and half inhabited by its employees as it slowly dissolves. 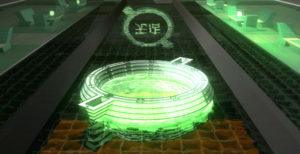 “A stage set of an abandoned future” is what Schmied evocatively calls this new terrain in writing written in vignettes, glimpses into the lives and landscapes that make up a Jing Jin City that’s been emptied of its original intention and repurposed into this Utopian no-place that “resists authorship”. Except that it doesn’t. It’s just that the authors of this new world are not the property developers and their postcards promising “the caress of the Hot Spring” and “an atmosphere of international business opportunity” (“everybody is having a great time”). Instead it’s the people left behind –gardeners, builders, guards, caretakers –that now populate the vast grounds of Jing Jin City and become a part of Schmied’s narrative drawn from observations and occasional conversations with the workers themselves via Baidu Online Translation. “It is more exciting when the colleagues have their bikes in the south car park,” says a security guard in the opening chapter titled ‘On the Absence of Use’. It’s one of three that detail the breathtaking decay and slow cycle of change across seasons in analogue photographs of lonely golden statues, frozen moats and empty, unfitted buildings. Mostly presented in matte, the images show up in glossy pages for chapter II titled ‘On the Sense of Ownership’ with its installations by Lek and Schmied presented on the concrete floors and staircases of these uninhabited mansions. It’s like a catalogue that comes accompanied by materials descriptions like, “23 groups of counter balanced glass window panes”. 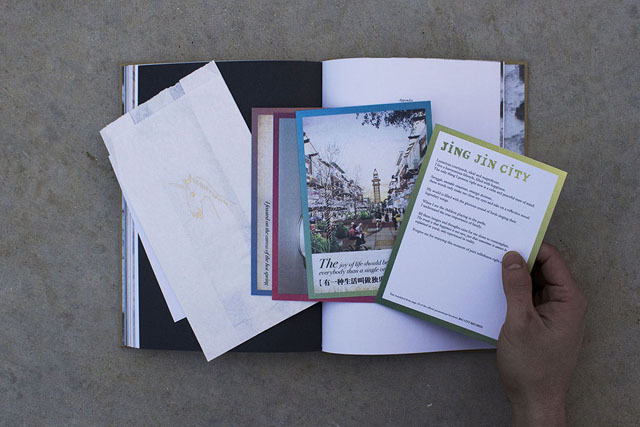 Andi Schmied’s Jing Jin City was published in January, 2015. Header image: Andi Schmied, Jing Jin City (2015). Courtesy the artist. Lawrence Lek is adding a new chapter to this ongoing project, Bonus Levels, with Sky Line, showing at London’s The White Building as part of Art Licks Weekend from October 2 to October 5. 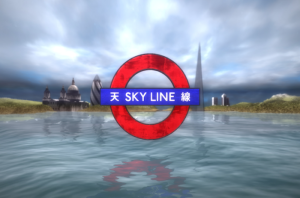 With Sky Line as with the larger project, Lek uses video-made virtual worlds to interrogate the notion and construction of a utopian fiction, and with each chapter – Sky Line being the sixth – he attempts to reconcile a new conflict. Wavering “between systems of control and forces of change, between reality and its representation, between the individual and collective”, these conflicts are rendered visible to the viewer as video tours and playable games, and Sky Line takes on the scanty infrastructure for London’s independent art spaces, modelling a floating version of the Circle Line with a vision of the city as not just made of financial skyscrapers but of “infinite access”. 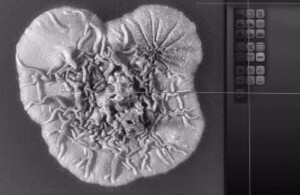 The installation’s opening night kicks off with a live audio-visual performance by Patchfinder at 8:30pm, and will feature a critical discussion with Lek and White Building curator Rachel Falconer on Saturday at 3pm. Examining information dissemination and the archive on and offline, Tabularium exists as a physical exhibition and a website. 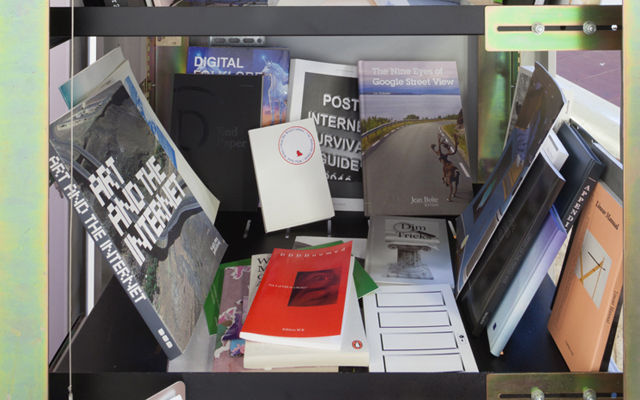 Curated by Alana Kushnir and taking its name from the 78 BCE Roman building storing tablet legal documents, it builds on the ongoing project collating and preserving publications not available in a digital format yet drawing from, or reflecting on the internet. 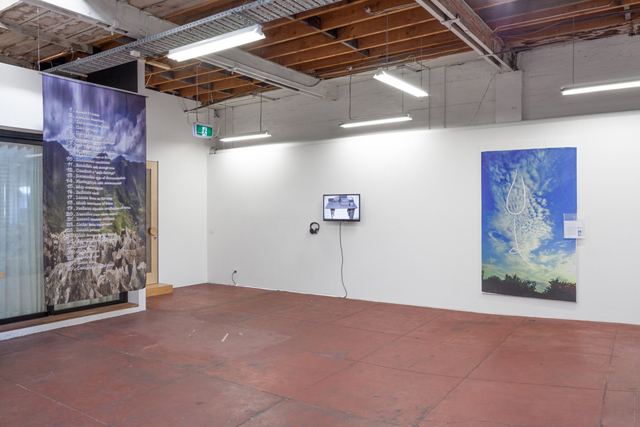 The original Roman Tabularium was closed to the public but the works on show at Melbourne’s Slopes gallery examine the modern archive as a public resource, actively created, modified and consumed on a daily basis. Slopes is a space that exists in a transitional state – sitting in the back of a building currently being renovated into apartments, it will close once these renovations are complete. Right now though, it’s a white cube punctuated by a ceiling open to a rickety-looking wooden catwalk and its designated ‘slope’ (a remnant of its previous use as an underground carpark) jutting into the gallery. It’s a perfect place to present Tabularium, where the remnants of a utilitarian past and pre-ordained non-gallery future mean that the space itself is positioned within the fluctuating lifecycle of the archive. Tabularium (2014) @ Slopes exhibition view. Photo by Christo Crocker. Image courtesy Alana Kushnir. The destruction of tactile documents, from the legendary burning of the Library of Alexandria to the recent loss of museum artefacts in Syria to civil war, are examples of how physical objects of knowledge and information can be lost, but the intangible online one is just as prone. Both Ry David Bradley’s ‘Flowers for Ukraine’ (2014) and Jon Rafman’s ‘Annals of Time Lost’ (2013) examine said extinction. Bradley inserts an abstracted flower into the Ukraine Wikipedia page, printing a copy to record the incursion. 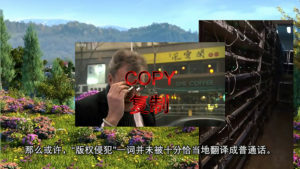 Presented along with a large-scale reproduction of the plant, its documentation continues to offer an IRL version of the page that exists long after editors have figuratively ‘deflowered’ the online one. Rafman’s video work, meanwhile, draws from the London’s National Gallery collection to produce juxtapositions of anime characters and old master paintings, building a new archive informed by the personal narratives of its creator. The archive as physical property is examined within Lawrence Lek’s ‘Memory Palace’ (2014) video, taking its audience on a virtual tour of an imagined Tabularium space in which server racks and monitor screens take the place of inscribed tablets. Katja Novitskova’s knife-like ‘Shapeshifter X’ and ‘Shapeshifter V’ (2013), are made from circuit board wafers and presented within acrylic cases. The circuit boards do not disclose their originally intended use and any information encoded within them is lost. Instead, the museum aesthetic of their presentation prompts the audience to consider them as historical objects used in the distant past. 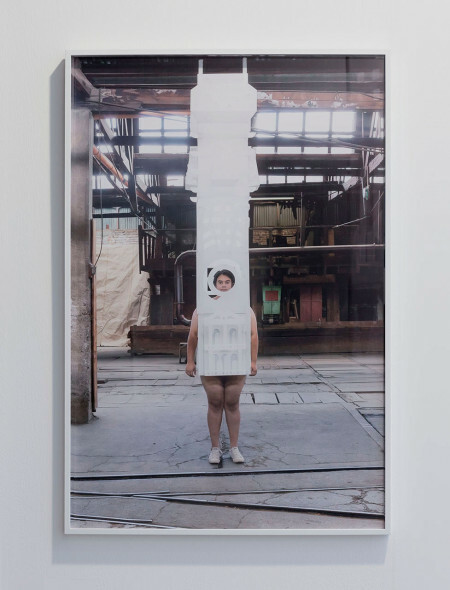 Alana Kushnir, ‘Tabularium Archive’ (2014 – ongoing) (updated list available [here] [https—docs.google.com-document-d-1C8hqwpkFZiecHtsWu4FIQsGLwSS7A2NxoZkRxMfzzTM-edit?usp=sharing]). Photo by Christo Crocker. Image courtesy Alana Kushnir. Other works, also including Tom Penney, Heman Chong and Anthony Marcellini, continue this exploration of documentation and archive construction. Eloïse Bonneviot’s ‘My Forensic Steps 2’ (2014) print on silk presents written instructions on the process of crime-scene documentation within the gallery, then subverts the objective output of those rules through a first-person game hosted on the Slopes gallery website. This subversion continues within Rachel De Joode’s print, ‘Hanging Marble’ (2014), rough marble reduced to two dimensions and exuding an oppositional strength and suppleness, a perfect representation of the way knowledge flows and changes within the archive. 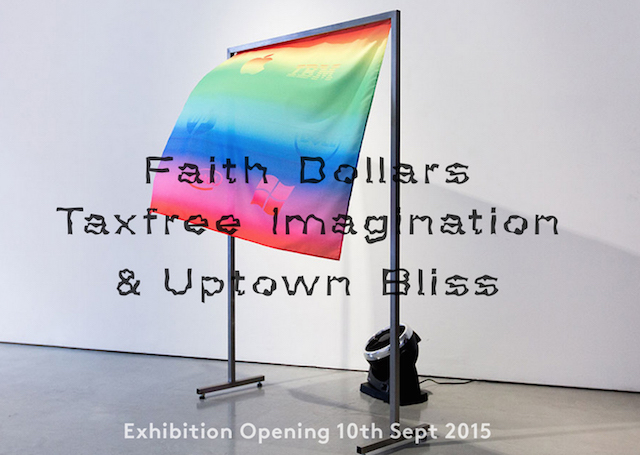 The Tabularium group exhibtion is on at Melbourne’s Slopes gallery, running from August 21 to September 13, 2014. 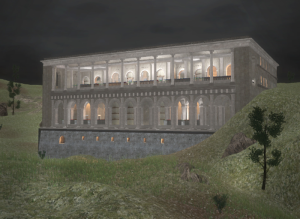 Header image: Tabularium (2014) @ Slopes exhibition view. Photo by Christo Crocker. Image courtesy Alana Kushnir. Three pieces from two artists and a collective, Bodyscape will be presented across screenings and performance at London’s Parasol Unit on March 7. The event explores the relationship of the body to its environment through the work of Lawrence Lek, Ilona Sagar and JocJonJosch. That includes Lek’s site-specific and interactive performance of ‘Prosthetic Aesthetics’, a screening and new performance from Sagar’s Human Factors series and a performance from JocJonJosch’s Head to Head series.